Hi! 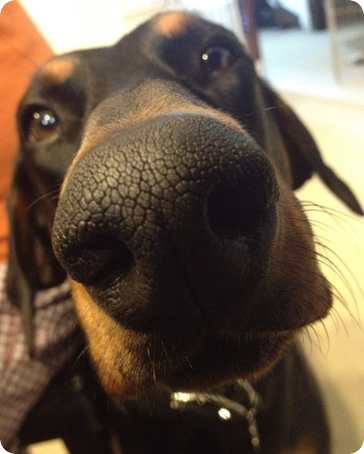 I'm @MayatheDobie, a 4 year old black and tan Doberman Pinscher puppy that loves to chew shoes, socks, and shirts. Got any cheese?